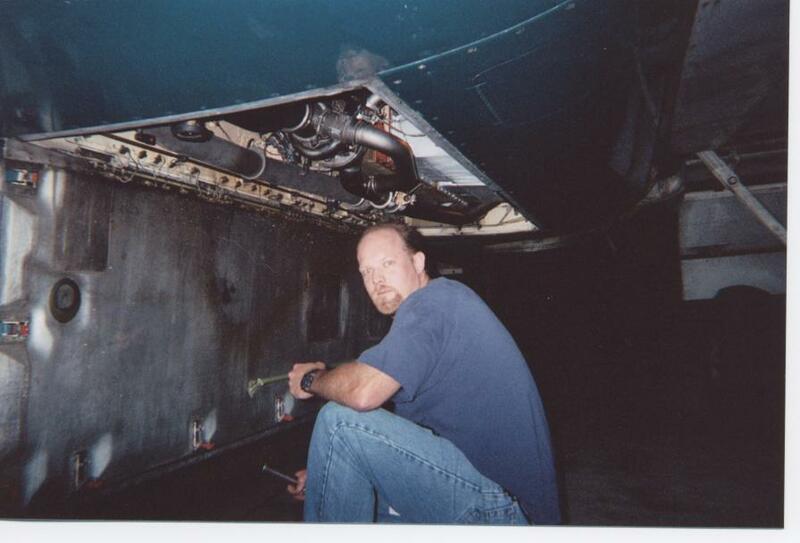 AWA AMT Matt Klinger accomplishes an airconditioning pack performance check and inspection on a Boeing 737-300 aircraft. 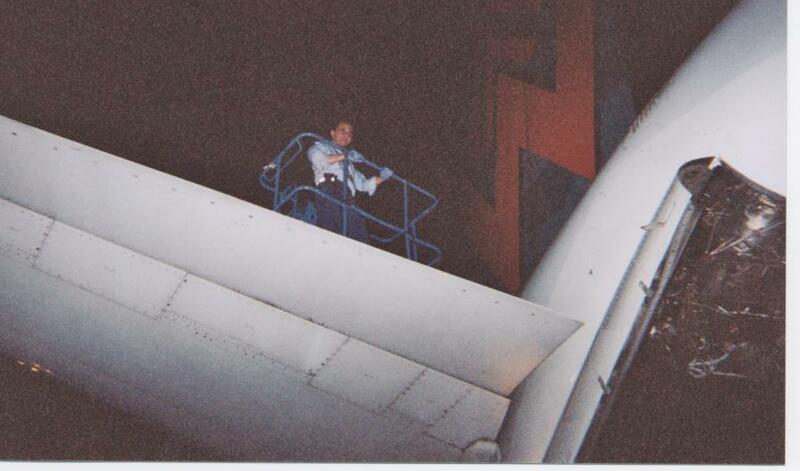 Matt's inspection will go unnoticed by the passengers because his knowledge and skill will ensure that the passengers remain comfortable with cool or warm air during their flight. Keep up the good work Matt! 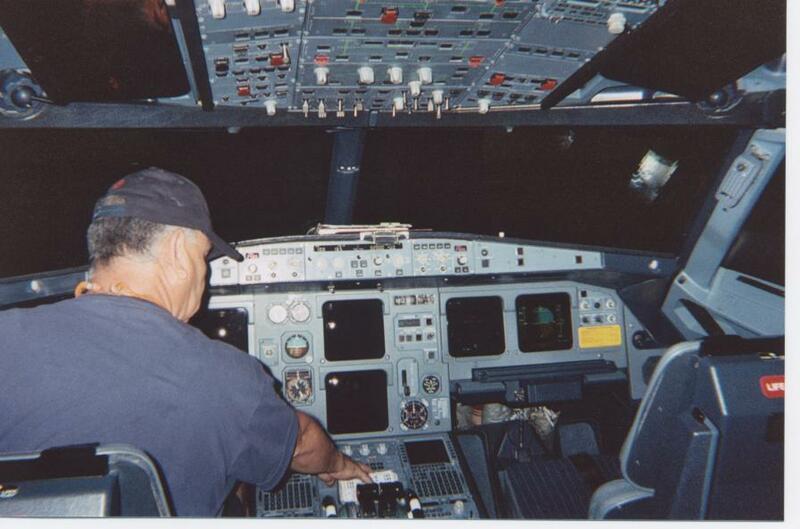 AWA AMT Ray Sarrano accomplishes the avionics portion of an Airbus A320 aircraft's overnight inspection. AWA AMT Igor Poshivailo inspects the left landing gear of an Airbus A320 aircraft. This is only part of his exterior inspection. Igor will make sure there are no discrepancies that will prevent an on time departure. AWA AMT Ray Sarrano accomplishes an inspection and service of an Airbus A320 aircraft's right hand engine Intergrated Drive Generator. Ray's skill will ensure that the aircraft's electrical power needs will be available. 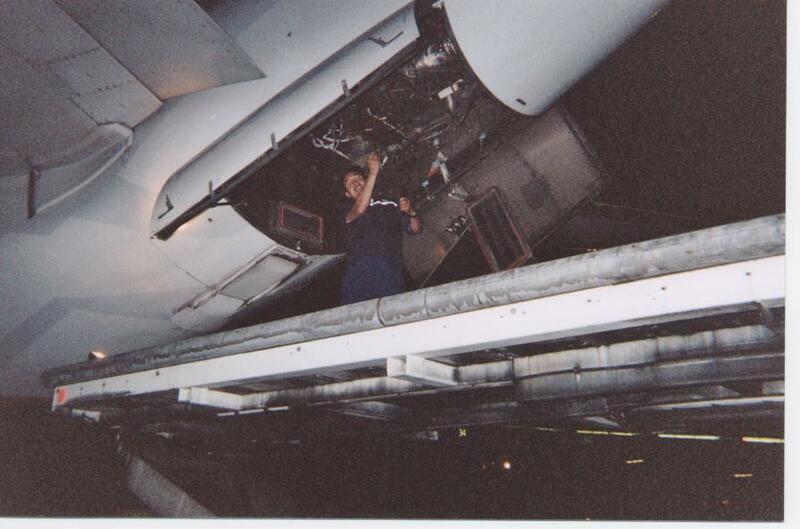 AWA AMT Boun Synakone performs an Auxillary Power Unit inspection on an Airbus A320 aircraft. Buon makes sure that the APU will be dispatch ready to provide air and electrical power for the A320's systems. AWA AMT Buon Synakone takes a few seconds from the cramped compartment of the Airbus A320's Auxillary Power Unit. 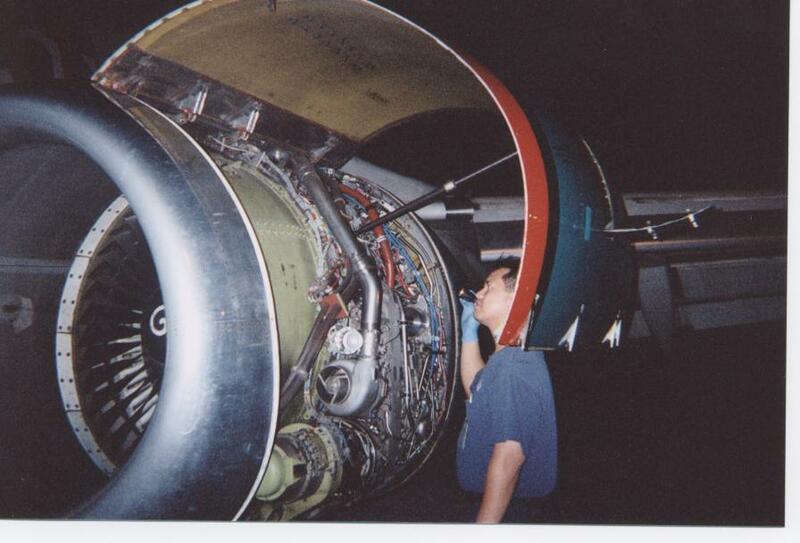 Maintaining an aircraft for airworthy flight requires inspections of all types. 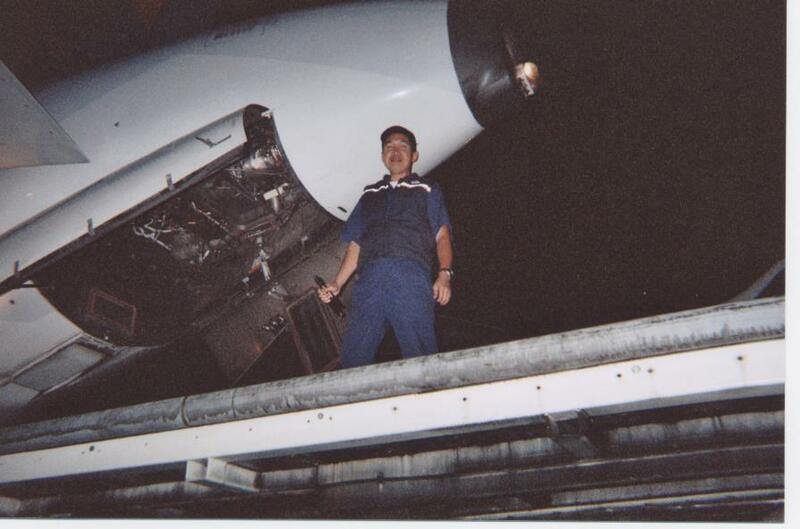 AWA AMT Ho Le finishes an Airbus A320 yaw dampner leak check and inspection. 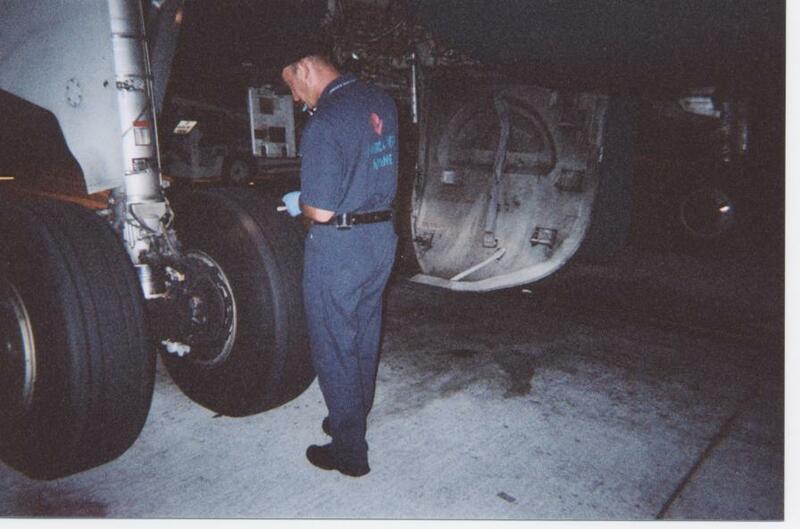 AWA AMT Randy Fernandez performs a visual inspection of a Boeing 737-300 aircraft's engine. This is only part of Randy's responsibilities for this particular aircraft. The above AMTs are part of a team of professionals who take their job and responsibilities seriously. These skilled professionals work evenings, weekends, holidays, birthdays, and other family events because that is part of the environment of being an AMT. 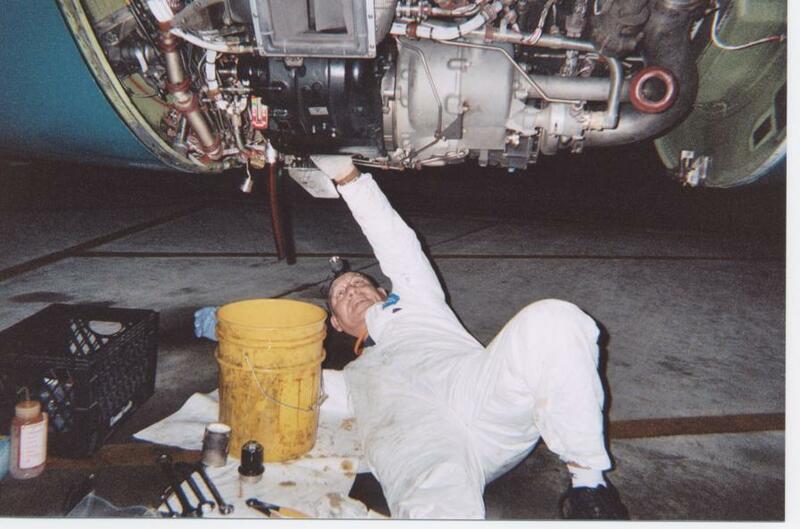 Aircraft Maintenance requires knowledge, skill & integrity 7/24, 365 and in all weather conditions. It is professionals like these AMTs that are truly the AMTA's Faces Behind Safety. Their actions go unnoticed by the public because of the nature of their craft & profession. But the public should be aware of these proud craftsmen and it is the AMTA's hope that they think of the professionals they never see. The AMTA thanks these professional AMTs for providing the substance that makes up all AMTs!